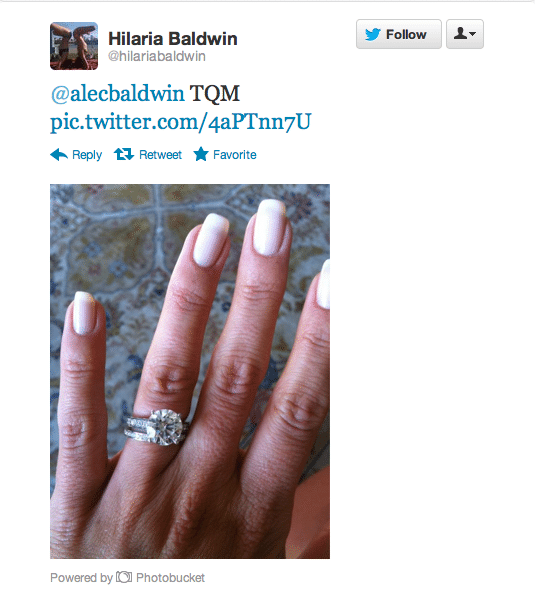 Home Scandal and Gossip Alec Baldwin ditches twitter momentarily before snagging Vanity Fair cover. Alec Baldwin makes it on Vanity Fair cover. Alec Baldwin‘s love hate affair with the public is back on. By now it’s become common knowledge that Alec Baldwin our preferred media whore and resident street brawler married his sweetheart Hilaria Thomas this past Saturday. That said since his marriage to his doe eyed yoga instructor,media pundits have nevertheless been caught off guard by Baldwin. Not so much by the quaint marriage celebrations or the lack of wedding celebration fracas(yes we were all desperately hoping for it) but by Baldwin’s decision to remove himself from twitter, his conduit for telling the paparazzi and all haters collectively off yesterday morning. Or so we thought. By Monday afternoon the hawt bixch was back at it (he did after all release images of the couples wedding bands on twitter over the weekend) when he released a new twitter account simply titled @abfalecbaldwin. Of course what’s even more interesting is that the hawt bixch after having the gall to tweet ‘it’s been fun,’ and then shut off his personal account switched it back on later that day as well. Or at least allowed his old tweets to show. Of course we all know it’s a matter of time before he starts using the account to once again start sparring with a world that refuses to understand and love him. The upshot? We now have more of Baldwin and not less of Baldwin (the new twitter handle will publicize the couple’s philanthropic ambitions, if you look now you’ll see the ‘Alec Baldwin Foundation’ donated a million dollars to the NY Philharmonic) and although Mr Baldwin may have chosen for now to take a siesta from the public (he is suppose to be on his honeymoon) and the paparazzi which he outspokenly can’t stand it’s no secret that ultimately he understands he needs the media to be the clown and lovable buffoon that we expect him to be (point in case him making Vanity Fair’s cover) and which of course curries him favor with the tv networks that ultimately pay him the big bucks. update: Alec Baldwin’s personal twitter accounthas been replaced with a new account which to date has no tweets from Baldwin yet and a scant 96 followers….